Now you can look your best while you practice all of your trick shots with this officially licensed Harlem Globetrotters costume. 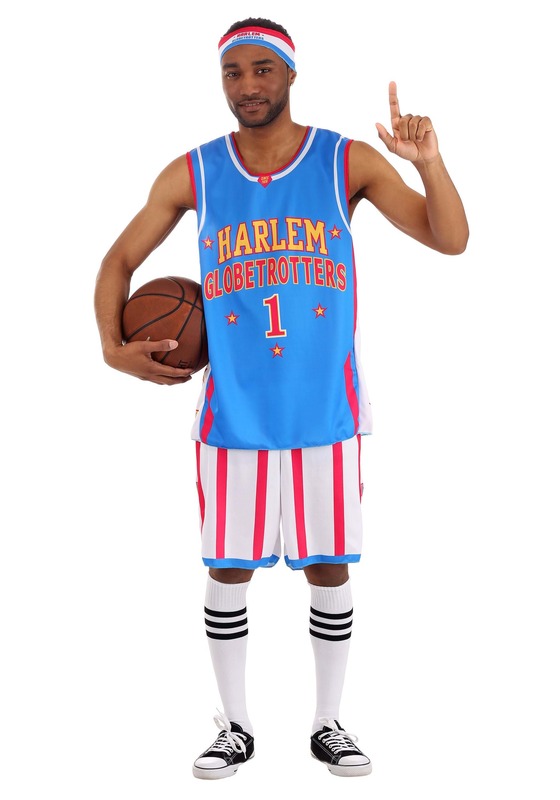 The costume comes with a blue top that has the Globetrotters’ logo on the chest. It also has “1” printed on the front to let everyone know that you’re the number one new player on the team. The shorts have a white and red striped pattern that’s quite attention-grabbing (just in case your basketball moves aren’t attention-grabbing enough!). You can really wow the crowd by getting your skills honed before you head out in this outfit, but even if you don’t quite have the rapid-fire dibble mastered, you can still look just like one of the famous basketball stars from the team with this Harlem Globetrotters costume.